Technology sometimes makes the production of some forms of music either antiquated or seemingly too much effort for so little gain. The Simeon, the instrument named for the one-named man who played it in the '60s band Silver Apples, featured a bank of oscillators, which according to reports at the time, required the musician to utilize hands, arms and elbows to play it. Damn if it didn't sound cool, but today you can do all that with the flip of a couple buttons on a keyboard. Digital delays and loops render Frippertronics unnecessary. That was the technique Robert Fripp used where he played a guitar line that was recorded on a loop of tape that fed into another machine set to play back. For years, I thought this was the brainchild of a former bandmate's husband and I've dreamt of doing this. Chances are I still will, as soon as I get my one reel-to-reel player repaired. While it's easier to trigger an effects pedal or a keyboard to make this sound, the effort diminishes the randomness of the effort. By using a tape recorder or making tape loops at home on a reel-to-reel, there's a certain suspense one can feel in anticipation of the playback. Will it sound the way I hope it will? Will it be better? 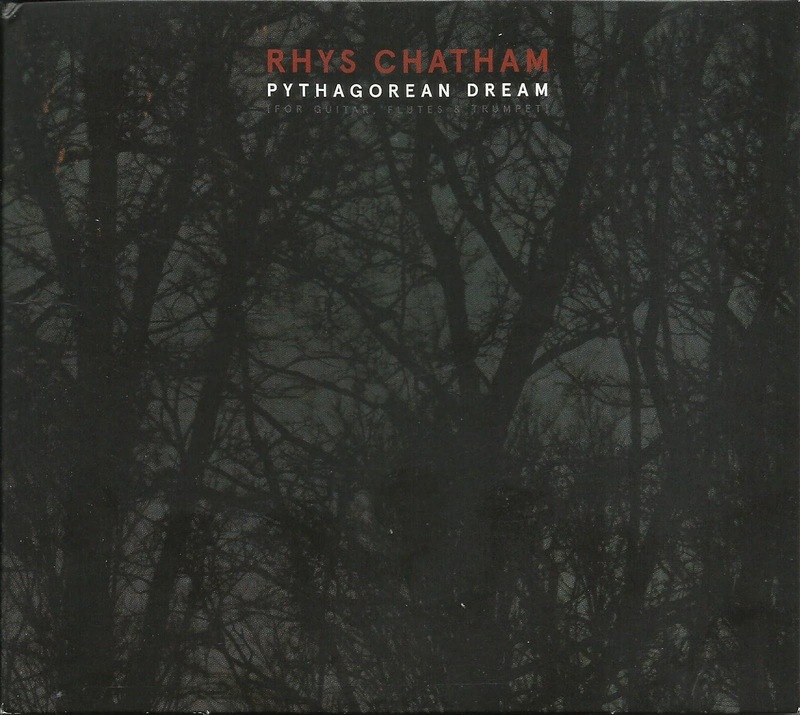 For Pythagorean Dream, Chatham wanted to revisit the Riley way of looping, though it appears he did it with effects pedals this time. In this case, it's not the means of recording that takes on the greater significance but the end. His guitar is tuned to his own Pythagorean setting, which creates a certain set of overtones that sustain and ring. In "Part One," sounds bounce from channel to channel creating arrhythmical layers on top of one another. To untrained ears it might sound like variations on one note, or like a new guitarist continually banging away on an drop tuned C# chord. But the way he plays makes all the difference. Chatham uses both finger picking and flat picking techniques and an e-bow, which makes the music move in dynamic waves. The dynamics and the resonating notes of the tuning create a rich sea of sound. For "Part Two," he returns to the instrument he played in the conservatory: flute. It begins with a rolling drone from the guitar, but it soon morphs into a wave of bass, alto and C flutes, creating a similarly hypnotic sea of sound. What keeps the music interesting is the way the different segments are introduced, how they impact that sound and where they go in the mix. It's definitely stereo music, best experienced on speakers with some distance from one another. Compared to the gentle flow and relatively soothing qualities of the two "Pythagorean Dream" parts, the bonus "Whitechapel Brass Variations" sounds busy. Chatham plays trumpet here, blasting away with extended technique, creating waves of low and upper register smears. Using the same recording process as the previous tracks, he goes on for a few minutes of free blowing, before the flatulent notes start to take the shape of a march rhythm. The high notes recall Mongezi Feza's layers of trumpet with on Robert Wyatt's "Little Red Riding Hood Hit the Road" on Rock Bottom. Sounds bend, wail and eventually decay. At 14 minutes, it's a bit much and nowhere near as tranquil. But it makes for an interesting journey. The early tape experimentations of Terry Riley - or Rhys Chatham, for that matter - might have some sort of appeal to fans of pre-digital music, where the process holds as much intrigue as the music itself. 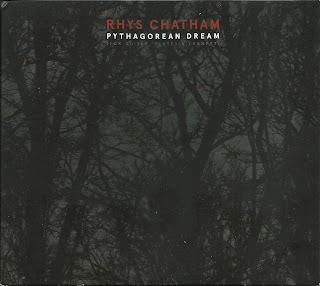 But even if Chatham did only take inspiration from Riley and channeled it into an effects pedal, he still managed to create something compelling with it. While it can recall the space rock heard on many albums on the kranky label imprint during the '90s, Chatham methods still reveal an individual voice. If you're waiting for a "lead" to come in top of all those layers, you're not listening the right way. Something's missing from "Love Rollercoaster" without the "say what." A wry sense of humor can be detected in Marc Ribot's music. Way back in the '90s on his Rootless Cosmopolitans album he interpreted Jimi Hendrix's "And the Wind Cries Mary" by deadpanning the words over some atonal funk-skronk that bore no resemblance to the original. In each verse of "Have A Nice Day" he growled that he was ready to rough somebody up for some minor reason, as the band played a thrash riff. Each verse ended with words to the effect of "Hey, wait a minute. I don't have a sister. Sorry about your jacket. Have a nice day." Conversely, the guitarist has paid tribute to Albert Ayler and Cuban guitarist Alberto Rodriguez in ways that show respect without sacrificing any of his own personality. His 2010 solo album Silent Movies offers one of many examples that Ribot can also execute extremely delicate and lyrical music in addition to the abrasive stuff. In conclusion, he should be consider one of the most diverse, pliable and innovative guitarists the world has to offer. With that in mind, the idea of hearing him interpret Philadelphia soul music, the kind that was a gateway drug to disco in the '70s, should generate excitement. Whereas "And the Wind Cries Mary" was a revered classic that Ribot playfully brought down a few iconic notches, a Ribot version of "Fly Robin Fly" would presumably take a cheesy disco song and raise it a few notches, making us skeptics realize that, yeah, maybe it wasn't quite as lame as we once thought. Presumably Ribot isn't in the business of straight mockery. He has better things to do than just make fun of people. The concept of the Young Philadelphians gets better by glancing at the personnel. Joining Ribot as his six-string foil is none other than Mary Halvorson, who brings an equally unique approach to her instrument and can also play with the same amount of seriousness and frenzy (see her band People with drummer Kevin Shea). 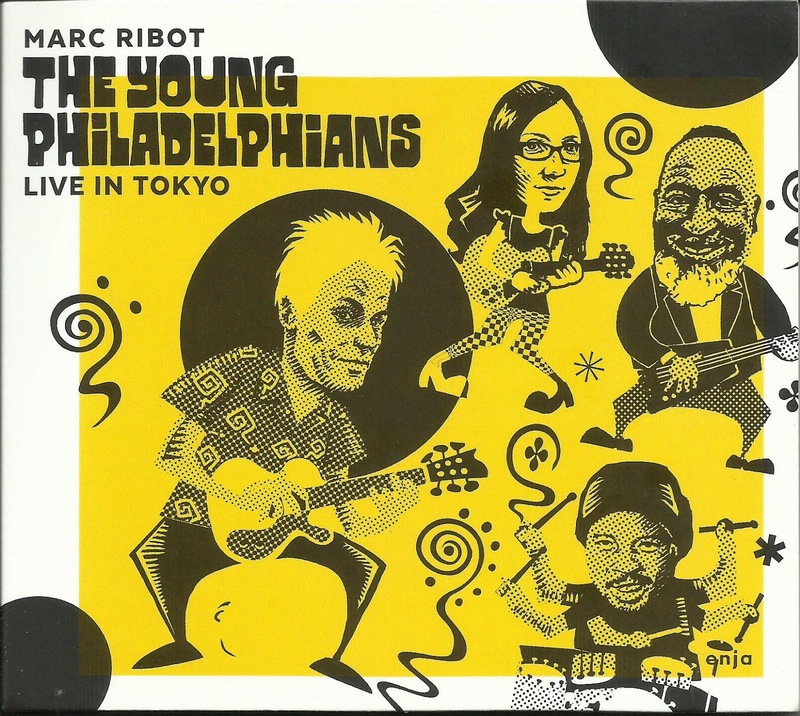 But Ribot also uses the band to pay tribute to Ornette Coleman's electric Prime Time, getting the original rhythm section for the Young Philadelphians, bassist Jamaaladeen Tacuma and drummer G. Calvin Weston. (Both were young Philadelphians when Ornette first brought them into his fold.) With a rhythm section that get be funky and heavy, coupled with those guitarists, this blend of Philly soul, harmolodics and a creative perspective on homage should be a slam dunk. By large it is. The quartet brings all intensity one might expect from a combination of players like this. Ribot rearranges MFSB's effervescent "TSOP (True Sounds of Philadelphia)" so it begins slow and out-of-tempo, creating dramatic suspense before it slams into the minor riff and everyone kicks in. The same goes for Van McCoy's "The Hustle," a punchline of a song that gets a little more respect this time out. Ribot also remembered that string sections gave Philly soul its distinct identity too. A three-piece string section covers that end of the music. All that's left are the vocals, which shouldn't be a challenge, considering how spare they are. But that's where things come up short. The Young Philadelphians reduce them to something more like gang vocals, yelled together. Sure, "Fly Robin Fly" only has six words, but they were sung originally, not barked. The Trammps' "Love Epidemic" is a great opener, but the way the group sings it makes them sound like they're rolling their eyes at the tepid lyrics. And then there's "Love Rollercoaster." Maybe Ribot omitted the "say what" because he thought he'd sound corny doing it. Or maybe the song doesn't need it. But the band also twists the main motif of the song. It's built on a two-measure riff, the first descending and the second ascending. The main lyrics match up with the respective part of the riff. But the band stretches the words out over two repetitions of the riff. It even seems to throw off Halvorson, who is about to sing "...of love" immediately after the first "Rollercoaster." That being said, Live in Tokyo still comes on with more pluses than minuses. There are moments where Weston lets fly with some snare cracks that reinforce the power of the guitars. Tacuma can hold down the groove and bounce around on top of it, sometimes simultaneously. The group recorded this album early in their lifespan too. Ribot says the group has already advanced further. Check this out and look forward to what their future holds. Improvising musicians have been attempting for decades to incorporate styles far removed the standard jazz format of horns and rhythm section/solo-over-changes style. Some most famously did away with chord changes. Third stream attempted to bring a classical sensibility to the music, where more of it was composed. Fusion, at its best (before that was a viable category) combined the visceral quality of rock with the ability to tear up chord changes. World music tries to bring together musics from other countries. Sometimes these experiments worked, sometimes it watered down the original idea into something that left out the vital parts of the music in question. In the past couple of years - maybe up to the past four, really - musicians affiliated with jazz have been earning recognition for playing music that would rankle the purists and some of the more adventurous types, due to its use of things like samples, more modern rock aesthetics or an even more avant approach to the avant-garde. What makes recent albums by people like Marcus Strickland and Esperanza Spaulding succeed is the fact that they're not approaching it from a path of either naive experimentation or dilettantism. They're playing from their own experience. And to ask them simply follow the path of John Coltrane or Jaco Pastorius would be as ridiculous as expecting Miles Davis to just play like Cootie Williams. The runaway success of Kamasi Washington last year indicated that people are in the mood for something that draws on different styles with adventure. Drummer/composer Tyshawn Sorey's work also reveals a mind that has incorporated a wealth of music and uses that experience to come up with works that explode with creativity and adventure. After having established himself as a drummer that can swing in the most remote, unswinging time signatures, he has simultaneously (!) earned a masters in composition from Wesleyan University and is currently working on a Doctorate in Music for Composition from Columbia University. Last year, Wesleyan appointed him to a tenure track position where he replaces retiring professor Anthony Braxton. The seat is a telling one, because it answers the question of who could succeed Braxton, bringing with it all the necessary perspectives on music and its avenues. Sorey is clearly the one for the job. For clues to the way Sorey can shape the minds of students in a university setting, drop into any section of The Inner Spectrum of Variable, a two-disc, two-hour composition in six movements recorded by a double trio: Sorey's trio with Cory Smythe (piano) and Christopher Tordini (bass) with violinist Chern Hwei Fung, violist Kyle Armbrust and cellist Rubin Kodheli. When some experimental composers utilize a string section, it yields a heavy amount of drones from the low strings and atonal, whining scrapes on the top end. It's an extreme example of melody, but one that doesn't sound fully mature. Not the case here. The strings on this piece can get harsh at times, but Sorey doesn't let them simply grate at on the ears. In fact, one compelling quality of Inner Spectrum is how it keeps reshaping itself, never sticking long enough in one place to burn an idea out. The strings turn contemplative, melancholy and even dance on top of a tense two-fisted piano riff, grounded by the rhythm section. 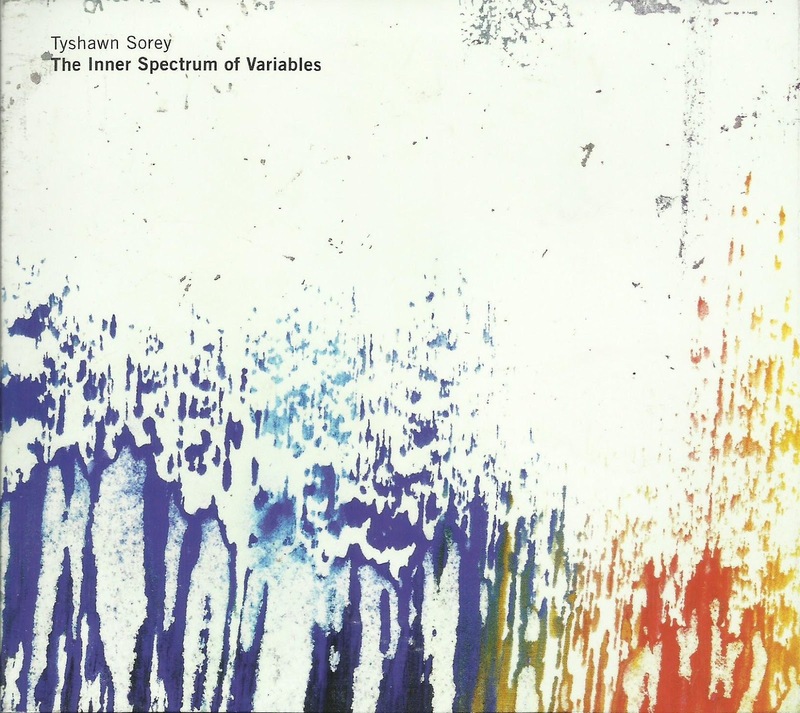 Sorey's previous album Alloy leaned largely on ideas of suspense and the slow evolution of a composition. With this album, he cites the influence of Braxton and improviser/composer Lawrence "Butch" Morris - the latter known for his "conduction" technique that involved both improvisation and conducting. But Harold Budd, Ethiopian jazz, the AACM and Brahms also inspired this writing. Having said all of that, it would be too laborious to dissect the entire composition. In some ways, my ears are still settling into the music, picking up more nuances with each listen. There are many and they all have a tantalizing quality. Suffice to say that even when a section lasts just a few minutes within the space of a 20- to 30-minute movement, it sounds like a part of a greater whole, not simply a quick sketch that's stitched into a bigger piece. "Reverie," which opens the second disc, begins with an extended solo by the composer on a variety of cymbals and other percussion, create rich sustained drones and acts as something of a pause between movements. Sorey probably could've made a longer piece all by himself, but this reverie also ushers in the strings, making something with more depth. In the opening paragraph I intentionally avoided using the term "jazz musicians." Sorey can be called a jazz musician of course. He shows up on a remarkable number of modern jazz discs as a sideman. (Talk about living the good life - composing, working at a university, playing with a wealth of great musicians! Lucky so-and-so.) 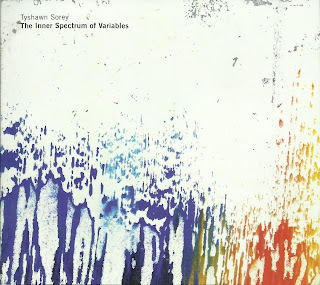 But The Inner Spectrum of Variables isn't really a jazz album. It's a style of music that hasn't received a proper name yet. So don't bother with such things right now. Let students of Sorey's students worry about that in a generation or two. In the meantime, get in on the ground floor. Tenor saxophonist Catherine Sikora was born in West Cork, Ireland, but now makes her home in New York City, where she's played with people like Eric Mingus and Ross Hammond. On this disc, she headed into the studio alone, armed with just her tenor. 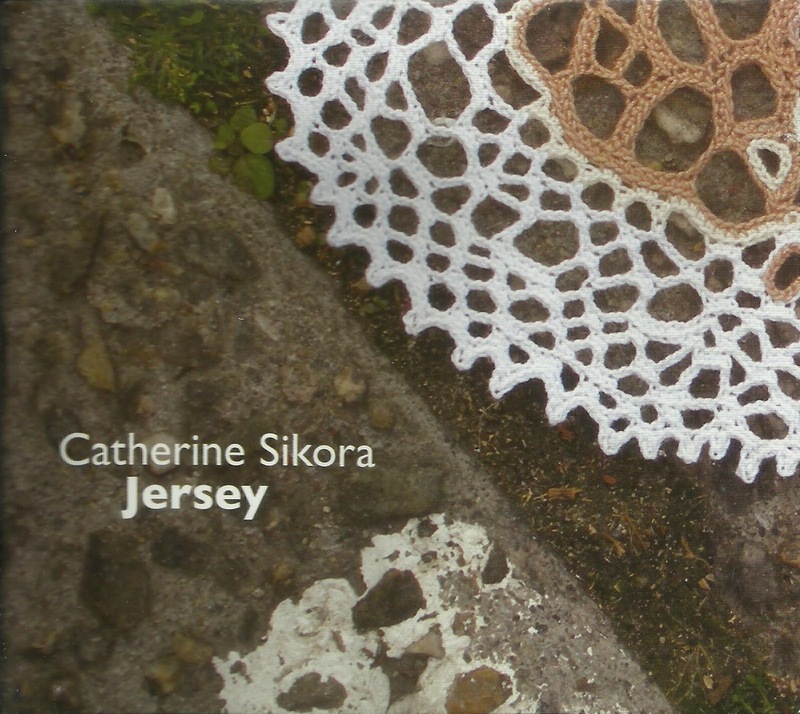 Jersey is one of those solo albums that makes the listener wonder what the performer hears while she performs. Are these sketches? Are they solo compositions or does Sikora hear a rhythm section playing beneath her, in her mind? These may be rhetorical questions but they indicate that the music sounds inviting, engaging the listener who can then get inside the music. Some free improvisers can hit the stage (or hit "record"), and operate at the same dynamic level with each piece, the break between acting as little more than a chance to take a breath. The skilled free improvisers understand how to really sustain a performance, employing an array of dynamics, moods and even break-out groups within the whole ensemble. These ideas were running through my head while listening to Miller's Tale, a September 2015 session that coincided with a performance the Roulette in Brooklyn. 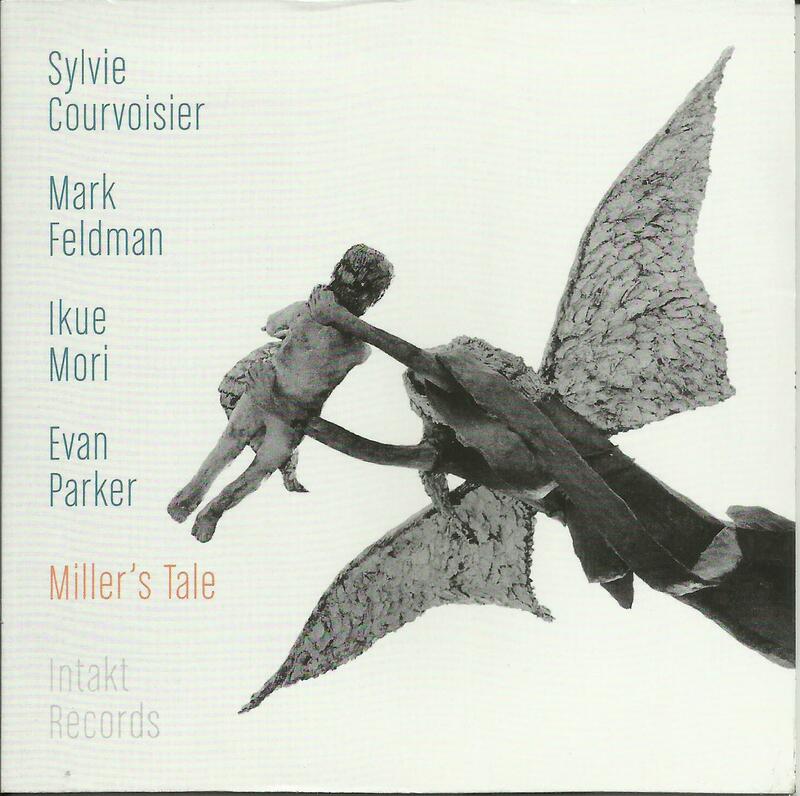 This came a year after saxophonist Evan Parker's weeklong residency at the Stone in New York, where he invited violinist Mark Feldman, pianist Sylvie Courvoisier and electronics whiz Ikue Mori to perform with him. The album title and separate tracks are borrowed from Arthur Miller's Death of a Salesman which takes place in Yonkers, where Miller's Tale was recorded. Rather than revel in the bleakness of the classic play, though, this music bursts with optimism, albeit the type that comes with wild, free improvising. Everyone moves so quickly and confidently in the music, it often becomes hard to tell who's playing what. The percussive thump in "Death of a Salesman" must be Courvoisier since there's no percussionist and she's not playing the keys at the moment. The sound of electrified faucet drips could be Feldman plinking away, but it's likely Mori, whose electric textures add great dimension to the set. The music rises and falls and begins with different ideas in each track. Courvoisier takes some time to stretch out during "The American Dream," expanding on droning low note that leads to a vast, Taylor-esque dance across the keyboard. After five tracks of quartet interaction, Parker (who plays both soprano and tenor saxophones) plays duets with each of them, followed by a brief dialogue between Mori and Courvoisier. Whether the tracks flow past the 10-minute mark or keep it short, the musicians always seem to know how to apply variations to it, balancing the exciting frenzy of sounds with a wide dynamic range. The liner notes to Sikora's Jersey (uncredited) talk about playing the album for Evan Parker while driving him to a show in Connecticut. The veteran saxophonist had nothing but compliments from the relative newcomer, saying her playing is free of cliches, adding that she "is both two seconds ahead and two seconds behind, which is the way you music play if you're going somewhere." That interpretation can be taking both literally and metaphorically, really. But the biggest surprise - shock, even - comes in the last paragraph. After listening Jersey, the crew of the car then put on Steely Dan, "one of our guilty pleasures." That's right - Evan Parker, legendary, sometimes-hard-to-get-into-but-always-pushing-it saxophonist Evan Parker likes the slick stylings of Steely freaking Dan. And I thought Anthony Braxton's fondness for Johnny Mathis was weird. It's been over a week since RePunk 3 happened, but it was followed by a week of interviews for an article, the ensuing task of transcribing, some actual job application work, the current part time work and the heat in general. So today is really the first day that I've had a chance to write about it. The origins of RePunk go back a decade, which, much to my surprise, I didn't blog about at the time. Of course I was even less diligent about this blog than I am now. But back in 2006, my brother John - who had been in the first punk band in Pittsburgh (the Shut Ins) - and Stephanie Vargo (of the Deliberate Strangers) contacted a bunch of people he knew from the late '70s/early '80s music scene, and talked about having a get-together in Pittsburgh. This was about a year before Facebook was the monolith it would become, so emails and discussion groups were the way to connect back then. The idea took off, and a two-day event was staged. The first night was at the Quiet Storm coffeehouse, where people could eat, and people got up and played. The evening highlight was my brother, the man once known as Johnny Angola, tearing through a choice set of covers like "TV Eye," backed by members of the Five. But there was also poetry, free improvisation and... me, accompanying John's one-time roommate and musical adviser to me, Michael Butscher. The following day, a cookout happened at South Park, with more music and a screening of Debt Begins at 20, a film that captured those early days of the music scene through a combination of live footage and semi-scripted drama. At first it seemed like pipe dreaming, but things really took off on a grand scale this year, with a whole weekend full of events. It included: dinner at Zarra's, the site formerly known as the Electric Banana; an exhibition at the Irma Freeman Center full of pictures, flyers and zines from years gone by; an afternoon cookout/show in Schenley Park; an evening show at the Bloomfield Bridge Tavern; and a screening of Debt and a plethora of videos of bands from way back when. Personally the biggest part of it for me was the reunion of Bone of Contention, the first band I ever played it, and one that dates back 30 years to an inauspicious debut at the Banana (although it was a BIG DEAL for me, the kid who had wanted to be in a band of any sort since grade school). The group drifted apart 21 years ago, when my two bandmates both got pregnant within a few months of each other. I've secretly hoped for about the last six years (when our debut album was 20 years old), that we would reunite someday. When it was first brought up, a few of the players seemed lukewarm, at best, on the idea. So I didn't get my hopes up. But Barb, our drummer, was involved in early conversations about RePunk and must have mentioned having us possibly play at it. When that got around to the guy who was helping to organize the shows, I decided to step up to the plate and poll everyone. Barb and guitarist Lila - who were in the band the whole time, along with me - both lived in Pittsburgh. But guitarist Sean and his successor Bart were both out of town, though they're still in touch with us. I figured if I asked both, I'd be sure to get at least one of them to do it. Turns out, they were both up for it. Not only was my dream coming true, my dream to be Moby Grape - a band with three guitarists and five people who all wrote and sang - was sort of coming true. Before our first practice I did have a rather involved anxiety dream with a few "chapters" in it. The one that is easiest to explain involves my counting off Deep Purple's "Child In Time," which I was supposed to sing. As the intro started, I realized that I couldn't do any of the high-pitched shrieking that Ian Gillan does in the original. By then, it was too late, though. I WAS TRAPPED! In reality, nothing like that happened. We got in several practices, even doing two a week, just like the old days! Bart was in town a few weeks prior for one of them. he night before the show, we had one with me, him and Lila (Barb was out of town). it caused me to miss the art show, but hey, duty called. Sean - who can pick up everything with just a cursory listen - got into town Saturday afternoon and met us onstage ready to rock. As usual, he didn't disappoint. We were preceded by Buster B., a wild singer who was once in a band with my brother (at the time that Johnny was playing the bass that I now own! ), as well as the Shakes, one of the best bands of the early days. I felt so lucky to be playing with them because their hopped up edgy pop went well with us. I caught them at RePunk 1, but they didn't an even fuller set this time. Of course there were some hurdles along the way to the stage, much like the anxiety dream: running home to get another mike stand and a keyboard for the Shakes, which I luckily found out they needed as I ran to my car; the original drum kit that was mediocre which may or may be replaced but we weren't sure at first (it was); feeling rushed to get onstage to make sure we didn't have to cut anything from our set; choosing my introduction words carefully only to turn around and realize Lila was counting off the first song before I had a chance to introduce ourselves.At one point I read the set list wrong too. Did I mention that I had consistently been drinking cold brewed coffee all day, which might've added to the intensity? But once we hit - it was wild. It was loud, frenzied and pretty cohesive all at the same time. One thing about this band, in retrospect I feel like we always had a good idea of what to do and where we were, musically. There were never any second thoughts, at least onstage. No looks of "where are we?" Some of the set was a bit of a blur because it takes a while for me to get situated into a set, getting my ears adjusted to the stage volume, not to mention the feeling of being onstage with these people for the first time in over two decades, more than 25 years in the case of Sean. I fully expected to go through a little bit of post-gig letdown the next day. All that work and anxiety, all for 40 minutes - and then it was over. There was a little of that, but not as much as I thought. Plus I had the videos of bands to check out at Filmmakers on Sunday afternoon. It was good, but loooooooooooong - two hours, in fact. I guess I noticed that because I was hoping to see more footage of Buster and brother John live with Gates of Wrath. Oh well, good times nonetheless. But I had to split before Debt started. Thanks to all who had a hand in this. And I'm hoping that the Bone, as we call ourselves, we reunite again for my 50th birthday. The die has been cast. Addendum - Since this post originally went up and I saw Stephanie's comment (which resulted in a revision), my mind went back to a particular moment at the cookout. Stephanie and her husband Tom Moran were doing songs, and she introduced one that she used to sing with "Scratchy," aka Erin Hutter, who passed away in October 2014. Hearing the song, and their whole set, took me back to the early days of the Deliberate Strangers. It was so great seeing a guy who I revered as a teenager now playing this new thing - and with Stephanie's and Erin's vocals, they were doing this music the right way - feeling, respect and knowledge of tradition, as well as their own stamp. Then sometime last week - maybe even a day or two after RePunk for all I can remember - Erin came to me in a dream. Nothing elaborate, more like a quick greeting you might give to someone you see in passing. But she looked happy. The Irish fellow in me can't help but think there's a deeper meaning in there.